Handing her a box of Kleenex, I asked a few more questions. Did something happen in her kids’ classes? 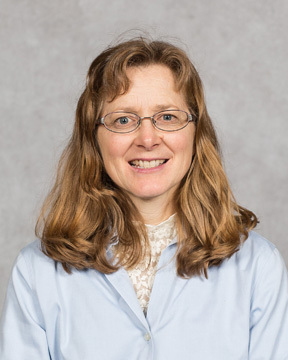 Were her children struggling with what they were learning? She reassured me her concern was cultural, not academic. I could relate to her feelings of uncertainty, as very few of us at Petra (including your friendly neighborhood Headmaster) were educated classically. But somewhere along the line, we happened to taste this particular educational elixir, determined it to be good, true, and beautiful, and are attempting to drink the classical Kool-Aid to the dregs. It would probably be a whole lot easier if we didn’t. But (and this was the question I eventually posed to the mom), what’s the alternative? Homeschooling? Perhaps for some, but not many do it well in breadth and depth. Unschooling? Depends on your definition (as well as your threshold for ambiguity). Online? Maybe for the information, but there’s little real relationship that goes beyond the screen. Government schooling? For many (and for many different reasons), that dog just won’t hunt. 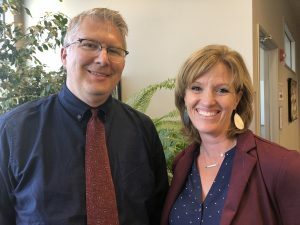 We both agreed: nothing compares to a classical Christian education as the third institution alongside family and Church to form a child’s mental and moral frame. But if done well, nothing’s as challenging either, which is why we often begin to have doubts, particularly if left alone with them. Maybe, like the mom mentioned above, you’re tired…or afraid…or both. Maybe all of this is new to you, and you want reassurance from other parents further down the road that the path you (and they) are on is for your kids’ best. Or maybe you’re married to the mom mentioned above, and you’re wondering how to counsel…or console…or both. Maybe all this is new to you as well, and you’re wondering if what’s best for your kids (and your spouse) is worth it or might be found somewhere else. 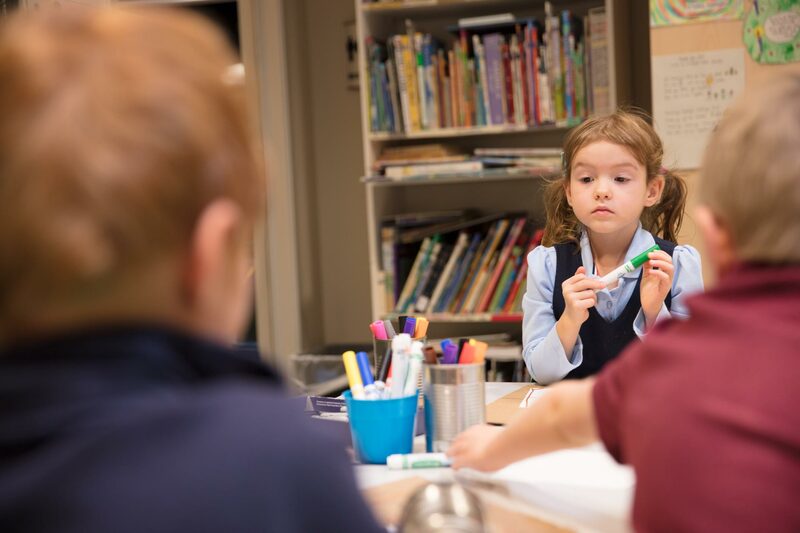 As we continue through the school year to the beginning of re-enrollment, now is as good a time as any for our upcoming Adventure Awaits celebration. 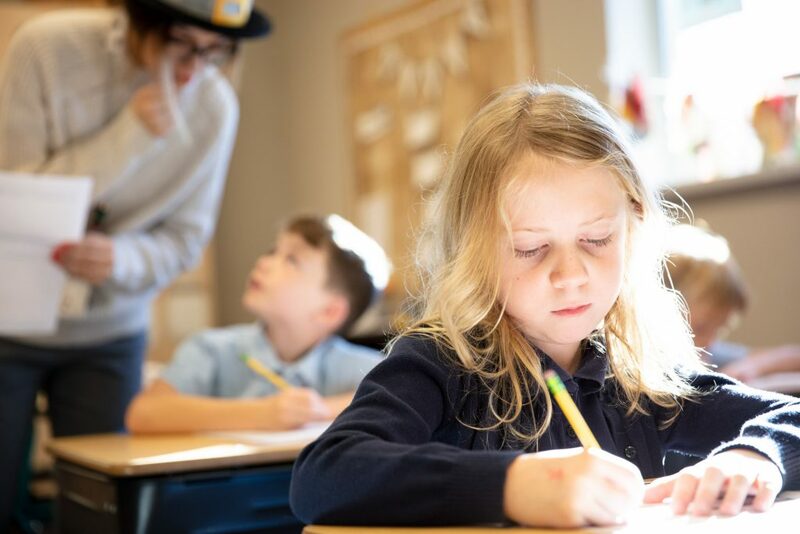 We – all of us – need to be encouraged, inspired, and reassured in a way that reminds us why, at some point in the past, we thought the history and tradition of a classical and Christian education made the most sense for our kids. We need to rub shoulders with others who are a few steps further down the road than we are in their decision. We need to welcome potential new parents who are a few steps behind where we might be and need to hear from us. After all, as the itinerant Irish preacher Bono says, “Sometimes you preach what you need to hear.” Indeed, for their sake…and for ours. If you’ve yet to purchase tickets for yourself and others you would invite, please do so even this week. Spots are going fast and we don’t want you or anyone you might want to invite to miss this opportunity. I promise you three things about Adventure Awaits: 1) it will be fun; 2) it will be inspiring; and 3) you’ll be glad you came. And, during these cold February days, if you’re feeling at all like the Petra mom above, please reach out as she did, either to a fellow parent, a teacher, a staff member, or even me. What we’re trying to do as a counter-cultural educational movement is not hard; it’s impossible! The saving grace is that we have the Word of God, the Spirit of God, and each other, all of whom I believe will make the difference – for the good of our kids and the desperate world into which we’ll send them. 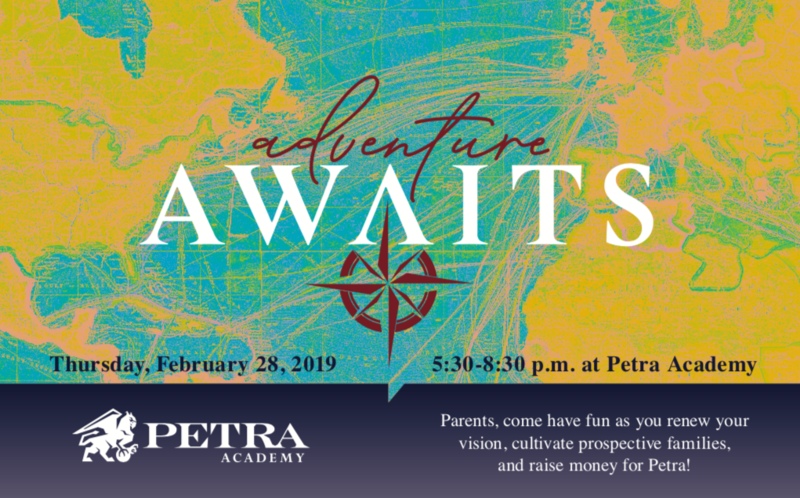 See you Thursday, February 28, from 5:30-8:30 p.m. Adventure Awaits! With over a hundred million sets of eyes making up its viewership, one could argue that the Super Bowl wins the Lombardi Trophy as the sports event champion of commercialization. But is there more to the spectacle than meets the eyes? 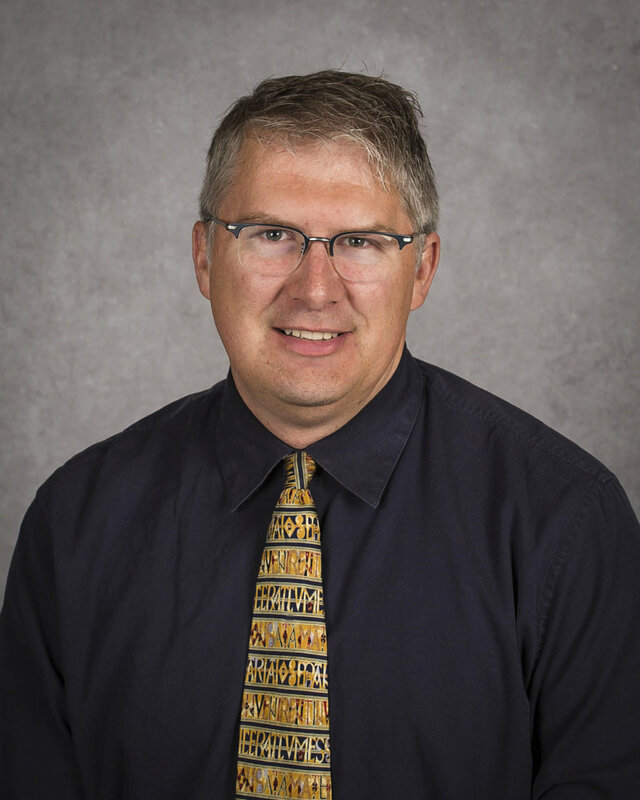 In his book, Desiring the Kingdom (as well as its more user-friendly version, You Are What You Love), Calvin College professor James K.A. 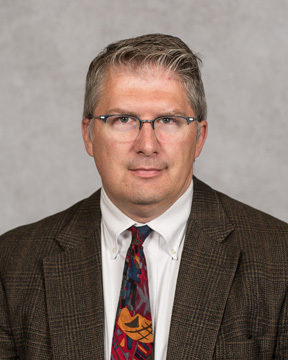 Smith has written much about the significance of modern cultural liturgies, including those of professional American football. In his commentary for The Washington Post in 2017, Smith wrote about the “spectacular display of America’s ‘God and country’ obsession,” identifying so many of the liturgies within a game of the National Football League (NFL) for what they truly are: worship. I recalled Smith’s observations last night while watching the second half of the Super Bowl. In the cathedral of Atlanta’s Mercedes-Benz Stadium, the devoted disciples practiced their faith, with all the sights and rites, smells and bells of a worldwide religion. There were signs, symbols, and sacraments that all had their place in this praise of the pigskin. Historical narratives – incorporating heroes of the past and the miracles they performed – were told and retold in an oral tradition of talent’s tale. The pre-game and halftime shows set the stage for the eventual procession of the Lombardi Trophy through rows of parishioners to the altar, as carried by its priests, Vince Wilfork, Emmitt Smith (note the sacramental gloves), and Joe Namath. Okay, okay, so the Scripture reference to Brady is definitely tongue-in-cheek, but it’s not hard to see the elements of worship in the rest, is it? Some critics might suggest a “reading into” of these elements that just happen to make up the biggest game of the year, but two questions we should ask are: 1) Why do these elements happen to make up the biggest game of the year? and 2) What does that mean? The Super Bowl as just another football game? Tell that to someone who loves it. This quote comes from this article in the September 17, 2018, issue of The Bozeman Daily Chronicle. In it, the writer interviewed local high school students describing the pressure they felt to prepare for post-secondary education. The quote was the students’ solution, as well as The Chronicle’s above-the-fold headline. No question: success requires sacrifice. But do the “college gods” (whoever and wherever they are) really hold that kind of power for a student’s ultimate success? If so, how did we let that happen? And if not, why do nearly all the students interviewed for the article believe they do? 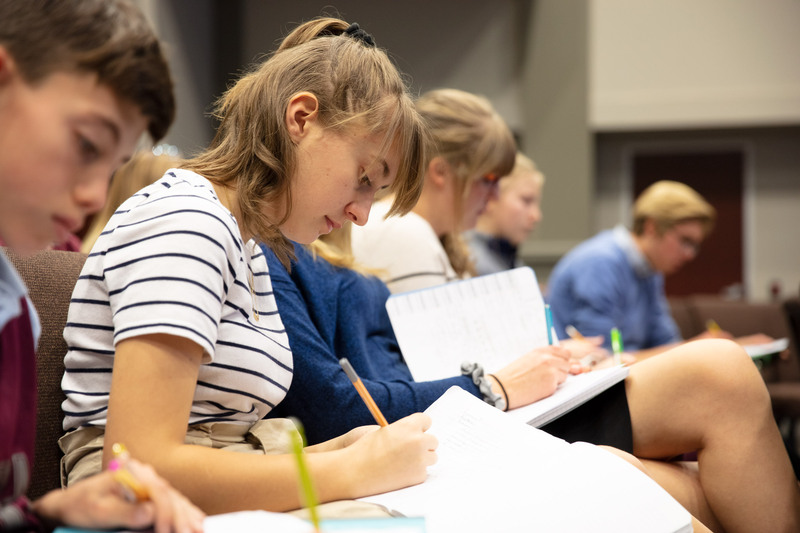 This coming May, Petra Academy will graduate 11 seniors with a class ACT average of 25.7 (3.5 points higher than the composite score of 22.2 of all Montana AA schools). More importantly (and in line with our Portrait of a Graduate), we are working to see them graduate with virtue and mature character, a solid faith and sound reason, masterful eloquence, vision and skills of a competent and passionate culture-maker, literacy through broad and deep reading, and an aesthetic wisdom about the world in which they live. 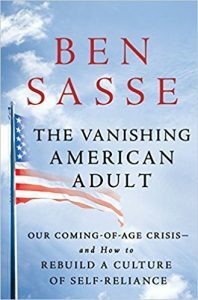 Most will go to college; some will take a year off to work; none will sacrifice themselves to the “college gods,” because they know good grades and resumes (both of which they have) only go so far. Their credentials are who they are as Christians, what they’ve learned, and how they’ve been taught to love and redeem a broken world. – the average cost to educate a Petra student is only half of what it costs Montana public schools? 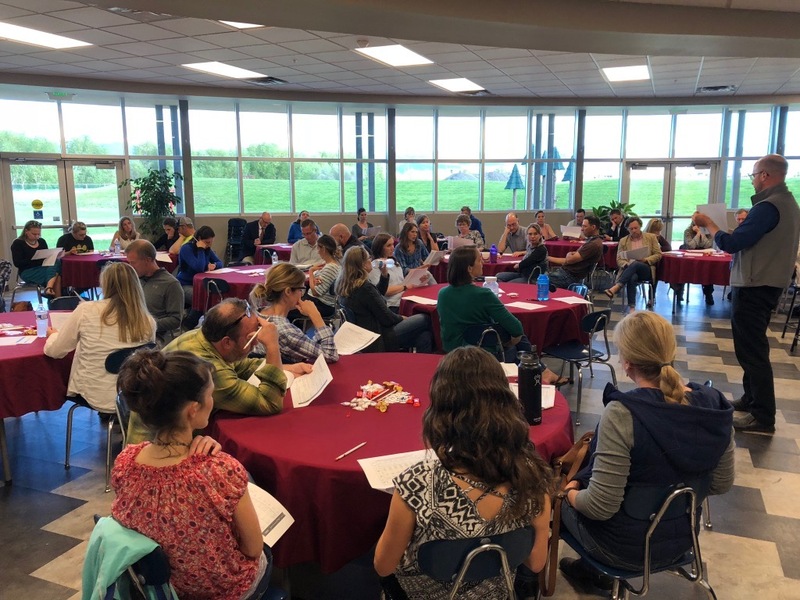 – our average teacher salary is 18% lower than the average Bozeman public school teacher salary? Our teachers love what they do, but we are committed to closing that gap. – one-third of our student body (61 of 184 total students) receive some form of financial assistance? We need to raise $30,000 by December 31, 2018, and another $100,000 by July 31, 2019, to meet our 2018-19 budget and fulfill commitments to our families, teachers, and students. 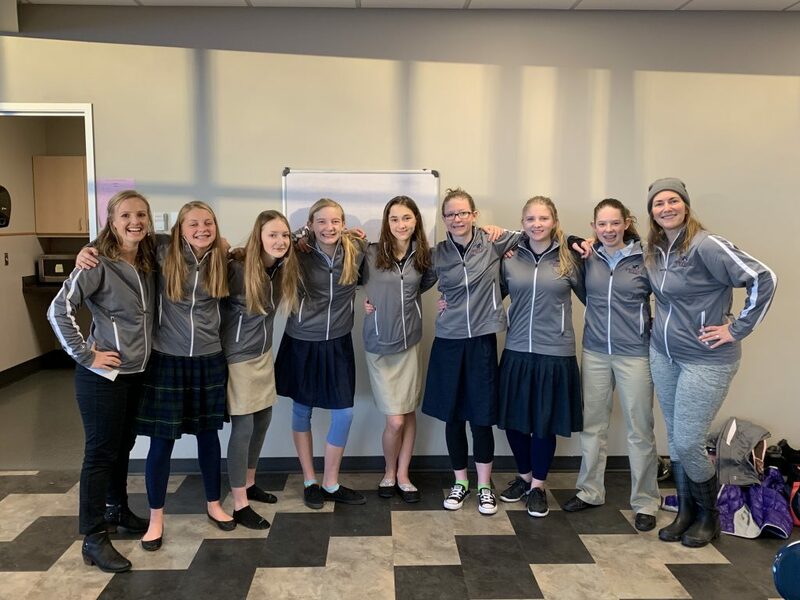 As you consider your year-end giving, would you prayerfully consider a donation to Petra Academy? We’ve made it easier than ever to give! 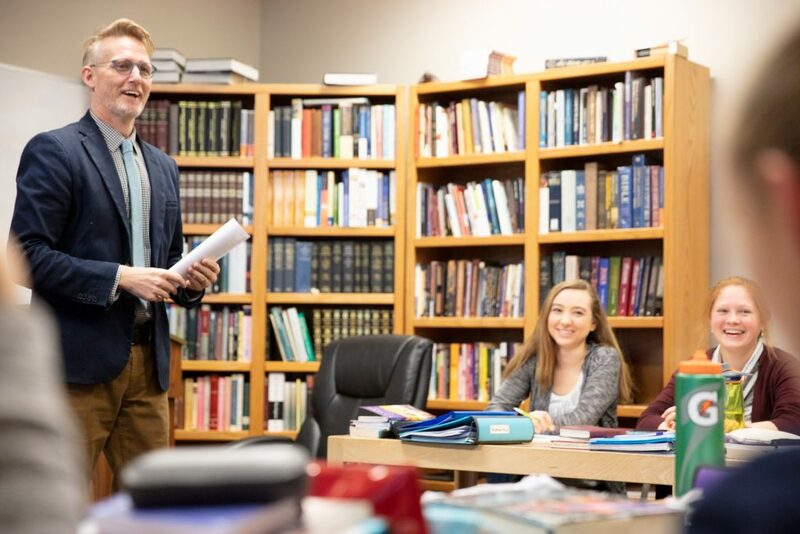 Thanks for helping students avoid the altar of the “college gods.” And thanks in advance for considering a tax-deductible gift to Petra Academy as part of your year-end giving. On behalf of everyone at Petra Academy, Merry Christmas and Happy New Year! 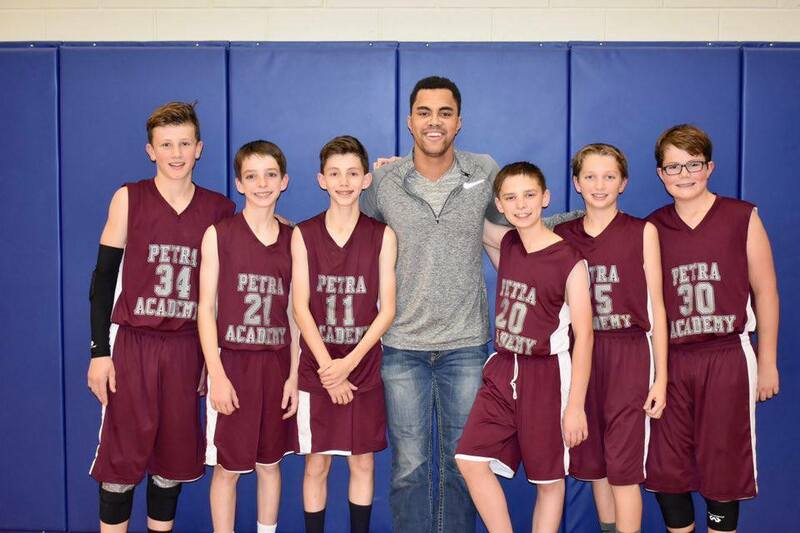 We appreciate your support of Petra Academy. If you haven’t yet (or haven’t recently), we hope you’ll stop by for a tour, recitation, concert, play, or game! At last week’s Schola Cantorum concert, I thanked those younger students not yet in one of our programs for the good attention they showed their older siblings who were performing. “If you want to show someone you love them,” I said, “you listen to them.” I was surprised by how many parents came up to me afterward to voice their approval of that sentiment. If you’ve been to a game, you may have seen me occasionally ask students (ours or others) to refrain from grabbing a basketball at halftime or between games to head out on the court to shoot. My goal in doing this is not to be mean, but to encourage students to respect and support team members who have put in the hard work to wear the uniform. 7th-8th grade boys basketball coach Taylor Oldenberger with his team. As we pursue excellence in the classroom, I want to see us do the same in our competitions and the way we think about what a Petra athletic event is and should be. I want to raise the profile of what it takes to participate in athletics and honor the effort of those who give themselves to a sport in addition to their studies. Our first JV girls basketball team with coach Rachel Reed. Our uber-informal Bozeman culture, coupled with an overly child-centric American parenting view, can work against us in terms of teaching kids delayed gratification and the value of earning a spot on a team. Setting aside the court (or sports field) for those who have fulfilled the requirements to be there is a small push back against the entitlement mentality that teaches kids they can do what they want by just showing up. Thank you for teaching and helping your young ones understand that, on game days, the court is reserved for the athletes playing the games. One day, your aspiring athlete will get his or her turn, and we will show them we love them by being there to cheer for them and watch them play. After last month’s Elementary Recitation, an uncle of one of our students found me afterward in the Atrium. After brief introductions (and with his niece’s not-quite-school-aged sibling riding on his shoulders), he told me how much he enjoyed seeing our young students recite what they were learning and how impressed he was with our school. After a multitude of case studies and insights to convincingly illustrate their points, the authors offer practical suggestions for kids, universities, and societies to try to deal with and address the untruths. 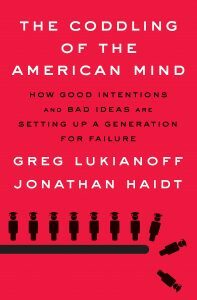 They recommend letting kids take more risks, as well as learn the basics of cognitive behavioral therapy so they can rightly deal with poor self-esteem; they call colleges and universities to endorse the Chicago Statement on free speech and academic freedom and to establish a practice of not responding to public outrage when pressure hits the fan; they suggest societies hold social media companies’ feet to the flames by tweaking algorithms to contribute less to echo chambering and lessen the negative effects of device use. 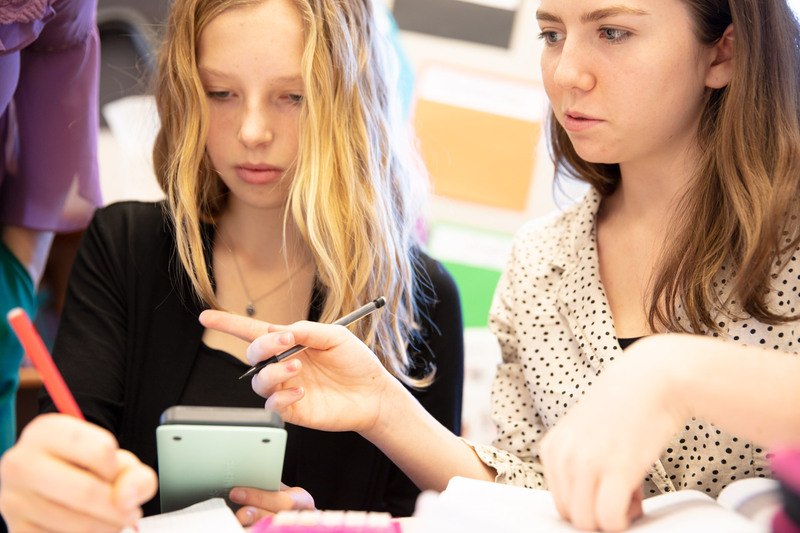 To get at these strong ideas, students have to accept the challenge to read and discuss them. This is why our Petra reading list in the hands of our capable teachers is second to none when it comes to promoting virtuous living and serious thinking. And this is why our students win supposed “non-humanities” competitions and awards; if people are involved, the humanities pertain! I don’t know all that our student’s uncle was thinking when he claimed to see “the progress of humanity” at Petra. I’m guessing he caught a glimpse of how young students learning to handle prose and poetry in a monthly recitation might, across the years, prepare those same students to stand before (and sometimes against) one another in healthy dialogue and debate as to the greater good later. Since that’s rarely done much anymore, perhaps I better understand his wistful surprise. Surely this is what “the progress of humanity” requires…and always has. All Saints’ Day is a holy day that the Orthodox church traces back to church father John Chrysostom in the 4th century as a recognition of saints – many of whom were martyrs – celebrated on the first Sunday after Pentecost. Pope Boniface IV, who consecrated the Parthenon at Rome to Mary and the martyrs, initiated the practice in the Catholic church in 609 A.D. before Pope Gregory III officially established the holy day on November 1 in the mid-eighth century. Historically, Catholic churches have thought of “saints” as those officially canonized or “made” saints by the church, but in the Orthodox church, as well as in many Protestant denominations today, All Saints’ Day is celebrated as a remembrance of departed Christians from any time and place – those whom Hebrews 12:1 calls a “great cloud of witnesses” surrounding the Church universal. Thus, All Saints’ Day is a day on which we honor faithful believers who have died, but also those by whom we are sitting even now. I wonder, though, if we really believe this – that we are sitting next to saints? I know that I struggle with the idea, not so much because I know all of you but because I know me. I’m much more likely to think of myself as a sinner saved by grace than a saint who sins. How do you think about yourself? As someone who usually messes up but miraculously gets it right every now and then? Or as someone who is loved and cherished even (and especially) when he messes up? Does it matter? I think it does. Let me tell you a Little Mr. Dunham story. This was what Little Mr. Dunham needed. He knew he would never be the fastest player or the best rebounder or the top scorer, so he tried to play up to what the coach had said about him being the smartest player. Someone else loved him enough to believe in him, and that made all the difference for Little Mr. Dunham and his team for the next six years. He no longer thought of himself as a bad player who only rarely and miraculously got things right; instead, he learned (and it was a process) to think of himself as a smart player who, yes, sometimes missed the mark, but was loved and trusted by his coach and his teammates anyway. It’s true that you and I are sinners – ones who miss the mark of God’s commanded perfection. It’s also true that, if we trust in the work Jesus has done for us on the cross, we are sinners saved by grace – by a love we never deserved, but were given anyway. It is only by this undeserved love any of us can call ourselves Christians. But God thinks of those who are Christians much more as saints who sin instead of merely sinners saved by grace. There are plenty of passages from the Psalms (among other books) that tell us this (see Psalm 16:3; 30:4; 31:23; 34:9; 37:28; 85:8; 97:10; 116:15; 132:9; 132:16; 145:10; 148:14). It feels good and means a lot to hear God call us his saints, but I wish we were better at thinking of each other in this way. Sometimes we don’t treat each other like saints at all. We talk poorly about one another; we do mean things to one another; we think of ourselves as being better than one another. You know where we most often see this happen at school? On the playground, in the garment rooms, in the hallways, in the gymnasium, in the bathrooms in the parking lot – places where we think no adult is watching or listening closely, but God always is. We are called to see our fellow Christians the way God sees us – not just as sinners saved by grace (though we are), but also as saints who sin (because we do). What would it look like if we thought of and spoke to and played with one another in ways that saw the good in one another rather than only the not-so-good? What if we believed – really believed – that when others sin against us and hurt our feelings, we should forgive them because they are saints who sometimes sin rather than dirty, rotten sinners saved by grace and a real pain in the neck? What if we ourselves experienced this kind of forgiveness when we hurt others but were treated as saints who sometimes sinned rather than sinners saved by grace? As we celebrate All Saints’ Day and think about those who have gone before us, let’s remember to honor those saints we see everyday – at Petra and elsewhere. Let’s believe the best in one another, stand shoulder to shoulder with one another, and talk to and not about one another. And while we can all heartily affirm that, indeed, we are sinners saved by grace, let us also pray for courage for one another to live not just as ordinary people or mere mortals, but as saints – yes, who sin – but as saints nevertheless because of Jesus, who died on the cross to make us so. This truth (and our unity as saints surrounding them) is what we celebrate today, just as those before us celebrated as well. As the pool of high quality talent in Bozeman becomes more and more competitive, we are educating the next generation of Montanans you’ll want to hire! 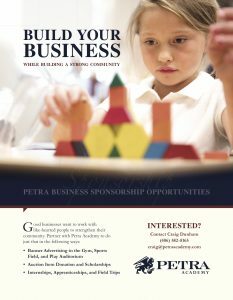 Start a relationship with Petra Academy that will benefit your business and our valley for years to come. Download our business flyer to get started. 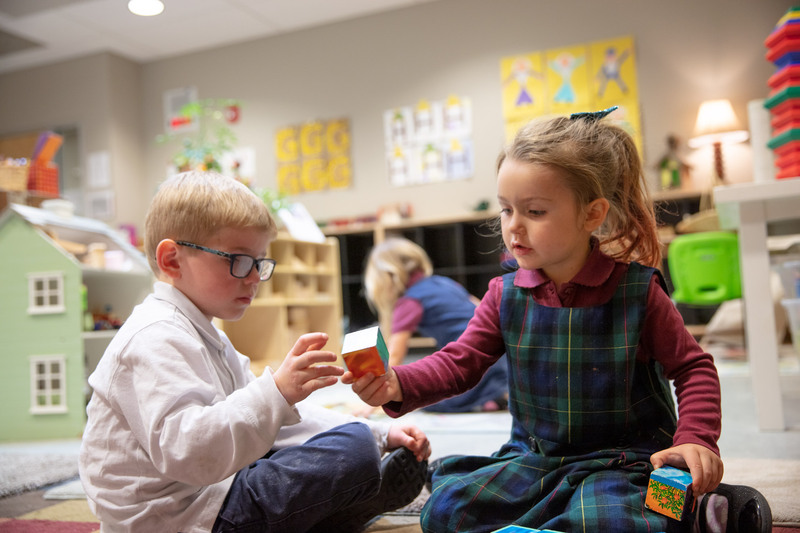 At Petra Academy, we partner with Christian parents to reassure them in their school pursuit to see their children faithfully stand out in the world. Good parents want their children to grow up to be good people. And most want a community of like-hearted people to help along the way. 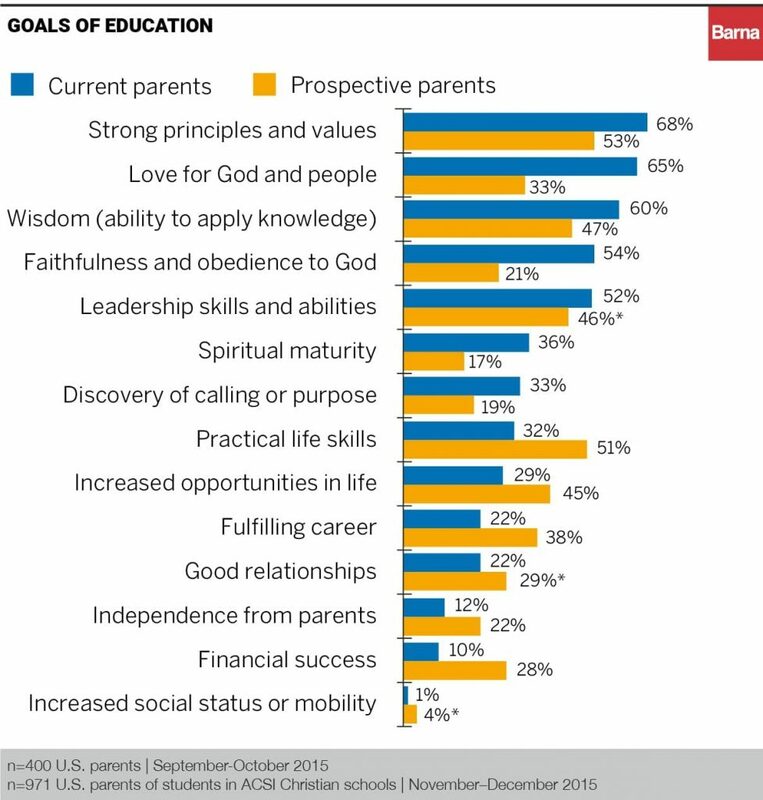 Parents want their children to have the best chance at success. They worry that a wrong decision could lead to failure. 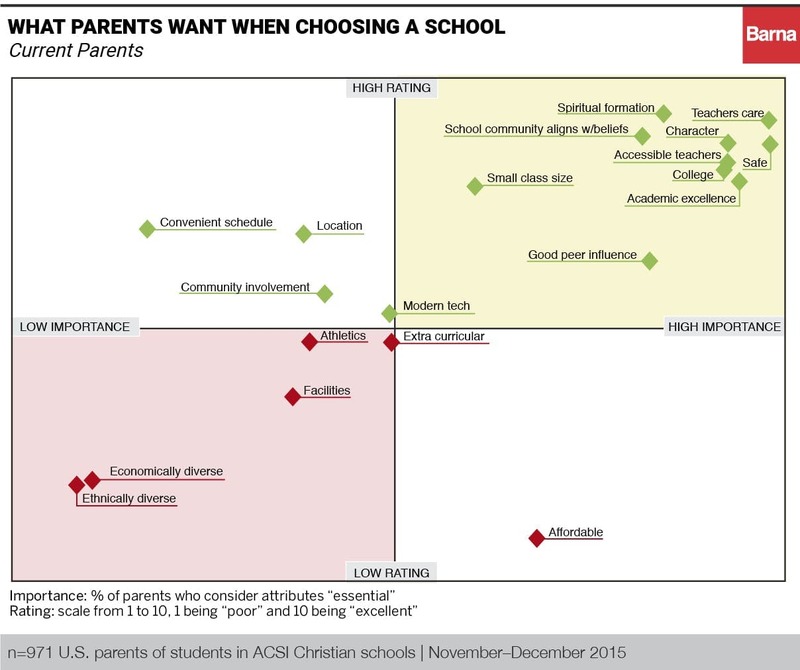 Opinions from friends and family complicate matters, often causing parents to feel insecure about their choice. 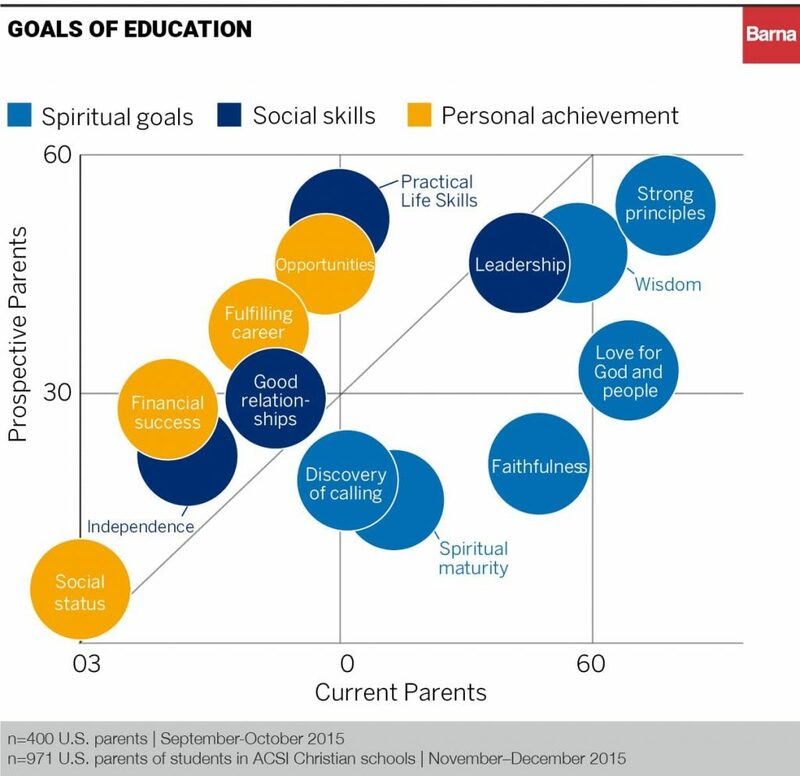 How do parents enjoy their children’s learning years if their children don’t? This is where Petra Academy can help. 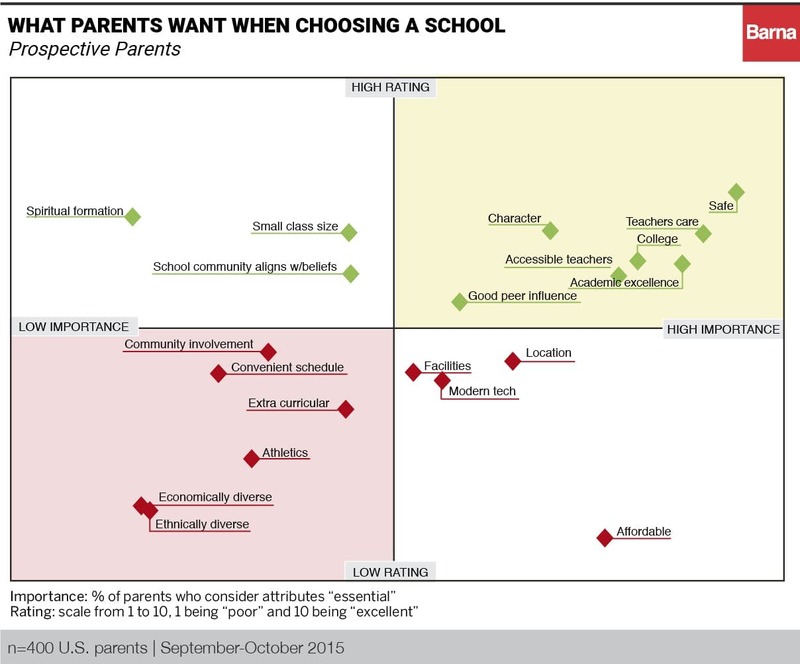 We recognize so much is at stake in the decision parents make for their children. And we know evaluating educational options can be difficult and confusing. But we also know how to come alongside and help, because that’s what we’ve been doing since 1995. Through our partnership with parents, we provide regular feedback about student progress that so many schools are unable to offer. 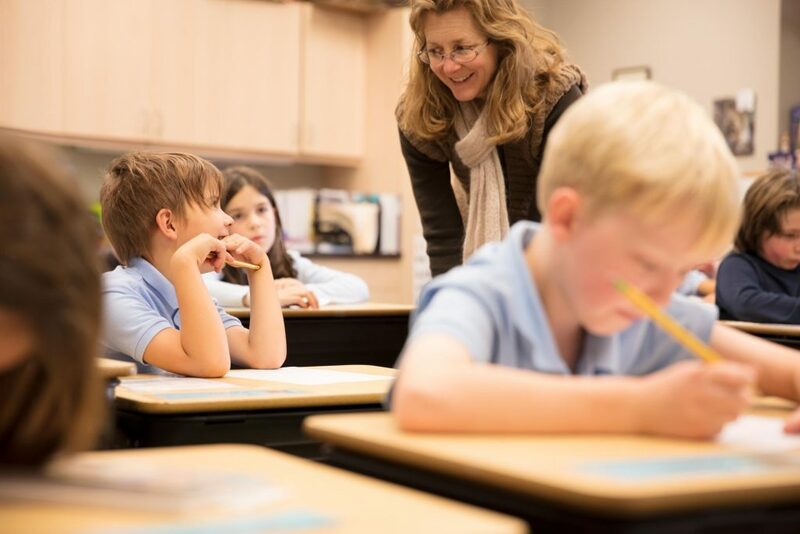 Smaller classes and teachers who really want to get to know your student are standard, while our classical curriculum and Christian culture are anything but. We have a good school – the best in Montana. 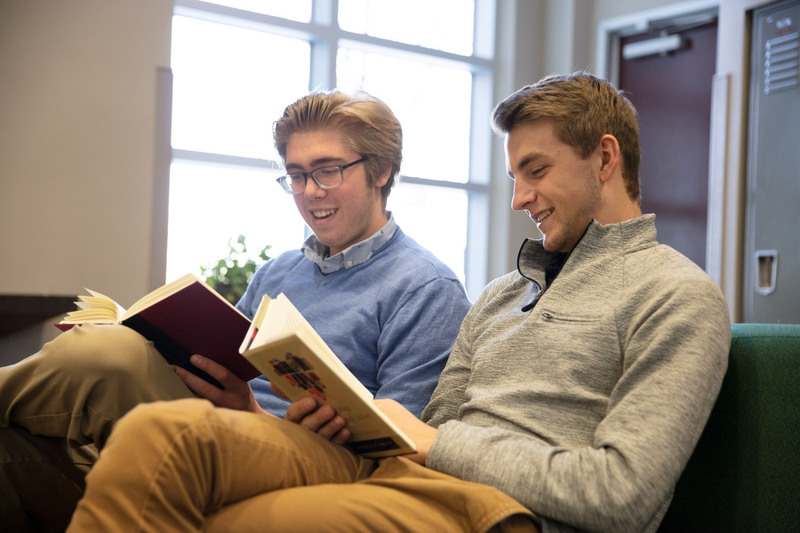 And we have a good tale to tell – of God at work in the lives of family and faculty, of students and staff learning together. It’s a story worth sharing, so let me encourage you to jump in and share it with us! A poem a day keeps the doctor away! All triteness aside, it may well be true that this variation on the old adage instructs well concerning our need for daily literary consumption of poetic language. Our 3rd grade class currently engages in this practice, immersed in a unit featuring Knock at a Star, an anthology of poems for children. The eager squeak of opening desks gives proof of their delight for the daily readings! 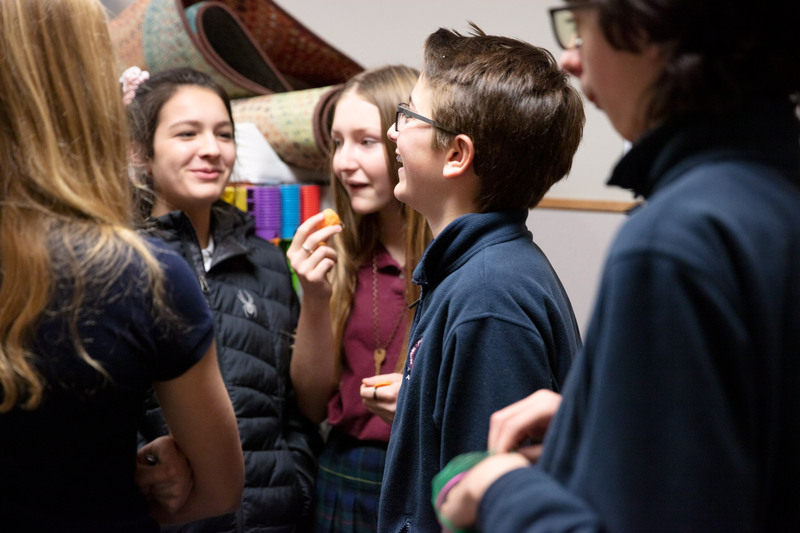 “Recognizing our need for God’s grace, Petra Academy strives to awaken love and wonder in our students by teaching them to observe with humility, think with reason, and articulate with charity for the flourishing of humanity and the renown of Jesus the Christ. We realize that this articulation includes not just the more-often valued prose writings, but poetic expression as well. How does this happen? Since children learn so well through imitation, from the earliest years at Petra, we read poetry. Beginning with nursery rhymes, fingerplays, chants, and songs in the pres-school and kindergarten years, progressing to classic poems for reading or memorizing in the 1st through 6th grades, then delving into the epic classics in the upper grades, we seek to provide children with a rich diet of poetic language that they may delight their ears and strengthen their hearts for meanings given symbolically, metaphorically, and rhythmically through words. Day after day they pour forth speech/ night after night they display knowledge. This psalm proclaims God’s creation, the “work of his hands” as being rooted in speech and words, and it is written, not surprisingly, as a poem. So, there is a place for adding to this great symphony of poetic expression. Why not share a poem a day? You can start and return often to Psalms, and go on to many lovely anthologies and classics available at our public library or school library. Read with expression, read with delight, and read for the sake of truth and beauty. It just may be the start of a wonderful new state of spirit and health for you and your family. Here are some poems to delight the poetic palate written by members of our third grade class. Bon appetit! When it is winter snowmen appear and snow blows. When it is spring baby animals are born. When it is summer birds gather at the feeder. When it is summer it is the perfect season for climbing trees. When it is fall the earth is beautiful. But then I say at least “Hey”. She’s how our family hooks. Deer come to our yard every night. They eat grass, until Keeva comes.